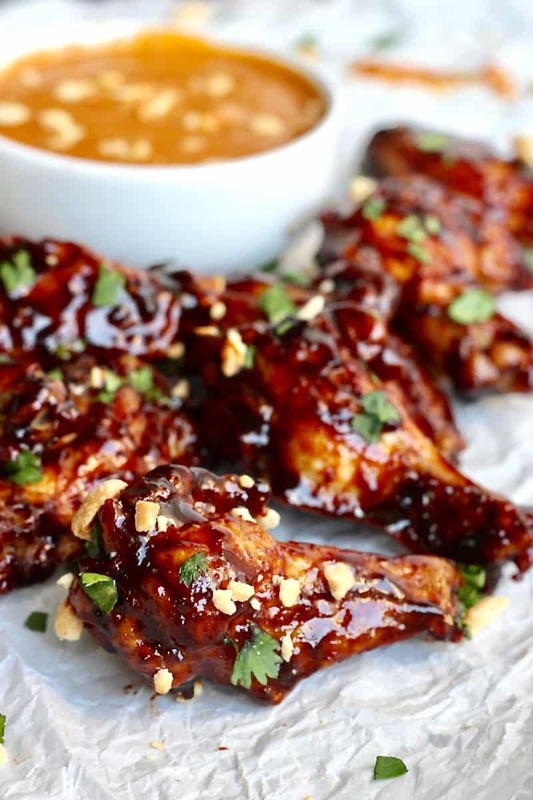 Unbelievably crispy and irresistibly sticky baked chicken wings tossed in a sweet and spicy Asian flavored sauce with a simple peanut sauce for dipping. 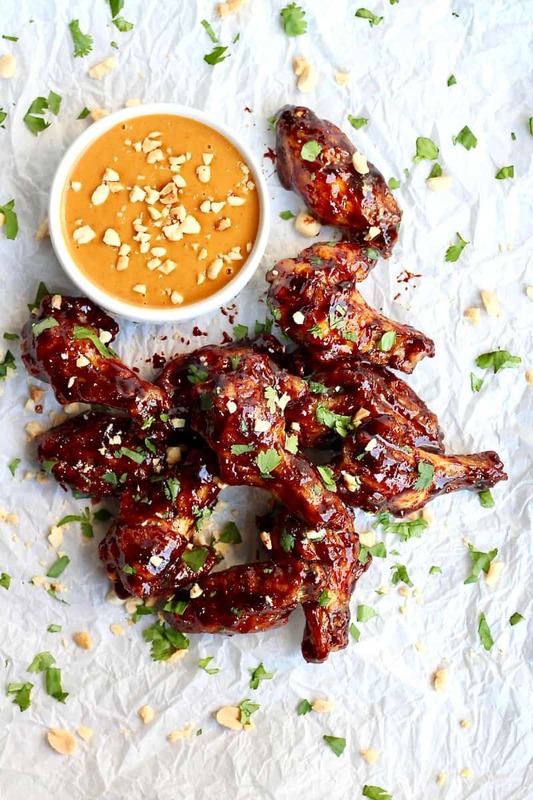 These Baked Crispy Asian Chicken Wings are everything you would want in a wing and more. 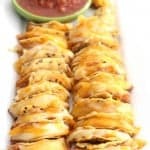 They’re baked super crisp and coated in a simple sauce that’s sweet, savory, spicy and sticky deliciousness. 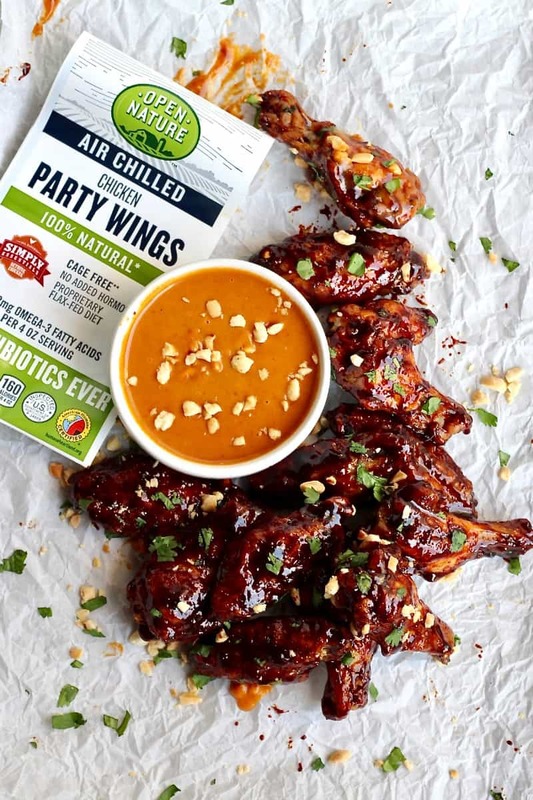 Chicken wings are one of our favorites for game day and with football season kicking off next week, these wings are sure to be a winner at our pre-game tailgates or living room watch parties. There’s just something about eating wings and watching football that makes me soooo happy! I’m thrilled to be partnering with my friends at Albertsons Companies to share my love for Open Nature® Air Chilled Chicken and this awesome baked chicken wing recipe! Open Nature is a household favorite. 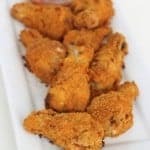 Their boneless chicken tenders are my go-to for pan searing to top salads, their whole chickens are the best for oven roasting on a lazy Sunday, their drumsticks are so great for BBQ smoking, and their party wings are just that…party perfect! I really appreciate that the chickens are raised cage free and are fed a balanced diet of flaxseed and other nutritious vegetables which certainly comes through in the quality and taste. 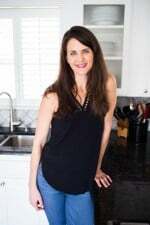 The proprietary flaxseed diet boosts the Omega-3’s by up to 350% and lowers cholesterol level of the meat by as much as 40% versus conventional chicken. 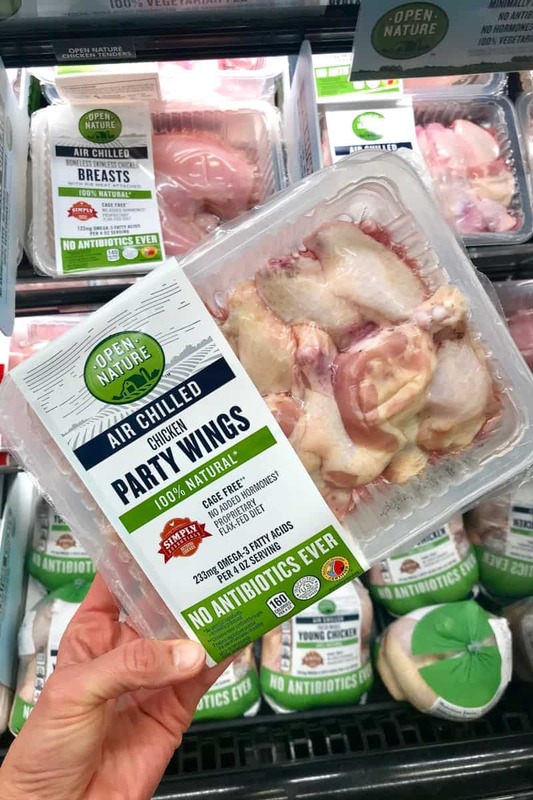 The chicken meat is air-chilled individually and processed in cold chambers with purified air, which results in 100% mouth-watering natural chicken flavor. These baked party wings turn out super crisp on the outside and incredibly moist on the inside every time. 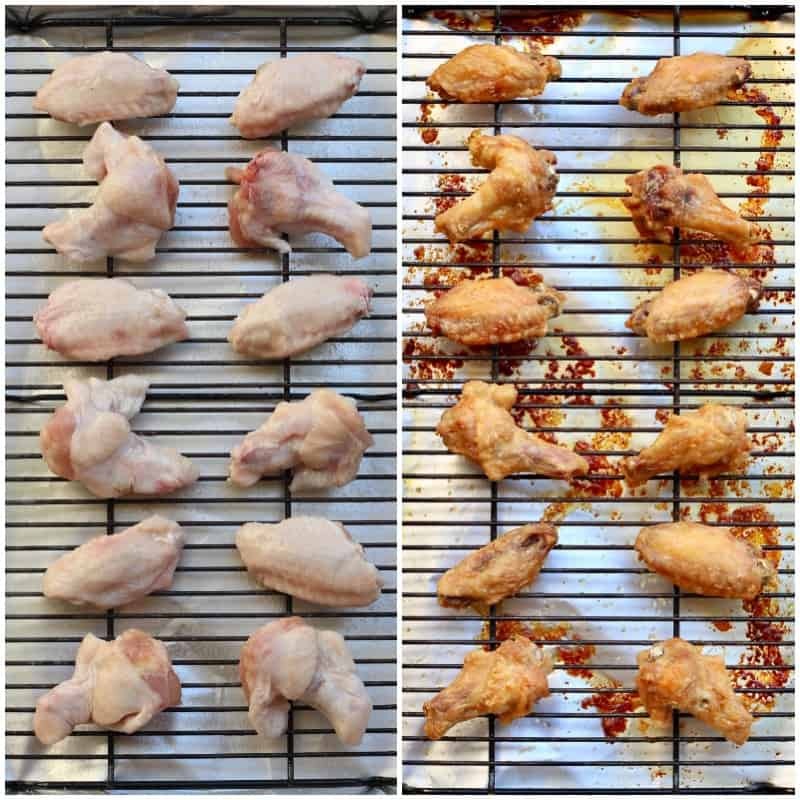 Baking the chicken wings on a baking rack allows air to circulate all around the chicken resulting in even crispness all over each wing. 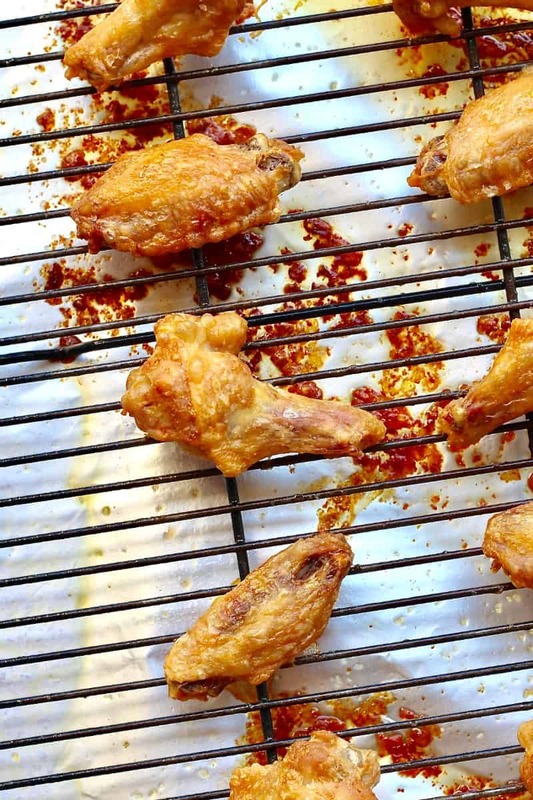 This baking method is so much less of a mess than frying the wings yet you still get that great crispy skin you expect when biting into a chicken wing. If you’re not drooling yet, you will be after I tell you about the incredible sauce you’re about to toss these crispy chicken wings in. This Asian inspired sauce is unbelievable. It covers all the amazing flavors you would expect and want in an Asian flavored dish. From sweet to savory to spicy and tangy, your taste buds will dance and demand for more. 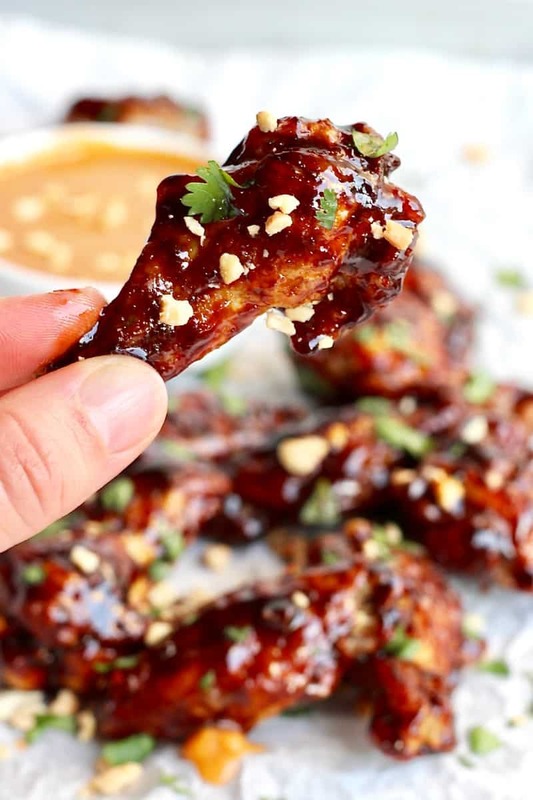 Served with a simple peanut dipping sauce, these wings are easy to make and so great for game day or any day you’re craving crazy delicious chicken wings! As a family who eats chicken almost daily, it’s comforting and conveneint to have Open Nature Air Chilled Chicken available in several cuts at my neighborhood Tom Thumb here in Dallas. You can also find it at some of the Albertsons Companies family of stores including ACME, Shaw’s, Star Market, Jewel-Osco or Randalls. 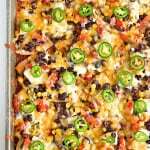 Visit tomthumb.com to find a store near you and discover even more recipe ideas. Sticky, finger-licking amazingness, my friends. Enjoy! Preheat oven to 400°F and set a rack on the very top. Line a rimmed baking sheet with foil and set a baking rack into the pan. Spray the baking rack generously with non-stick cooking spray. 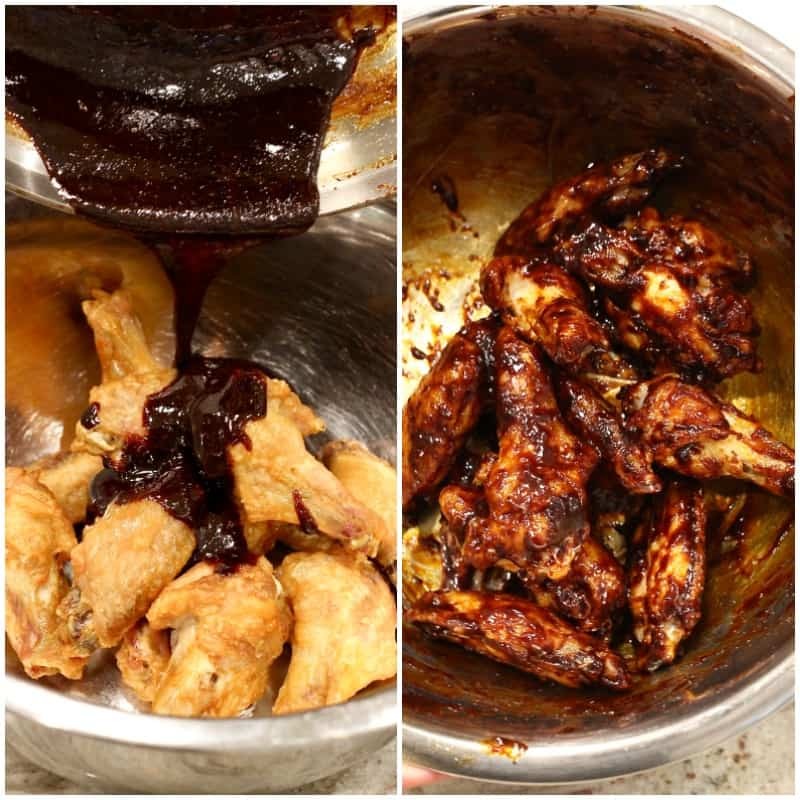 Place the chicken wings in a mixing bowl. Toss in 1 tablespoon peanut oil or vegetable oil. Sprinkle with 1 teaspoon kosher salt and toss to coat evenly. Place chicken wings skin side up on the prepared baking rack. Bake for 40-45 minutes, rotating pan after 20 minutes, until golden crisp on the outside. During the last 5-10 minutes of baking, place the ¼ cup soy sauce, 3 tablespoons maple syrup, 2 tablespoons lemon juice, 1 clove mined garlic, 1 tablespoon Sriracha sauce and a pinch of black pepper in a sauté pan over medium-high heat and simmer until sauce is thickened, about 5 minutes. 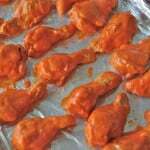 Remove chicken wings from the oven. 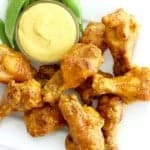 Place them in a medium mixing bowl and immediately toss with the reduced sauce (don't let the sauce sit too long off of the heat as it will be too thick to toss with the wings). Transfer chicken wings to a serving platter and sprinkle with crushed peanuts and chopped fresh cilantro. For the peanut dipping sauce, add ½ cup peanut butter, 3 tablespoons honey, 2 tablespoons Sriracha sauce and 1 tablespoon soy sauce to a medium mixing bowl and whisk until smooth. Slowly whisk in the water until of desired dipping consistency. 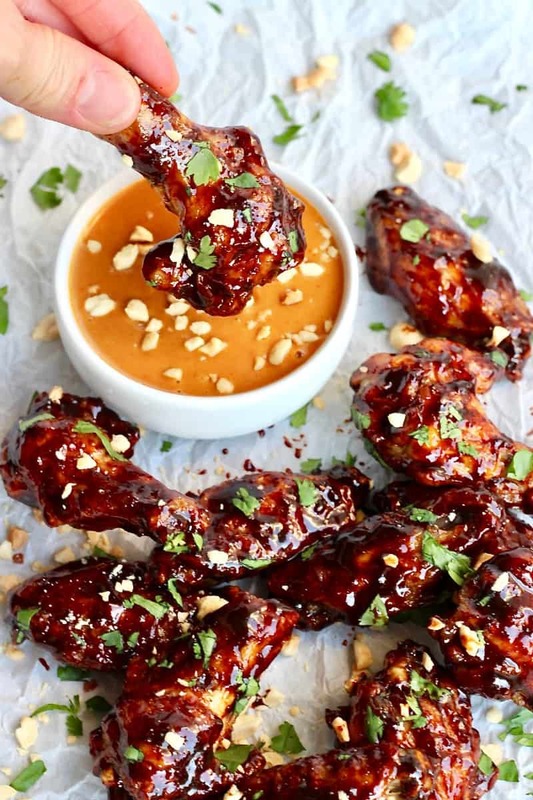 Serve chicken wings with peanut dipping sauce. This is a sponsored conversation written by me on behalf of Albertsons Companies. The opinions and text are all mine. Thank you for supporting the brands that make The BakerMama possible.